The woods and meadows in Val Fiorentina are plenty of mushrooms. Here you can find chanterelles, porcini mushrooms, parasol mushrooms and lots of other varieties. You can pick mushrooms along the trails of the valley, among pines and larches, with a regular permit. Before going mushroom hunting, we suggest you to read the regulation (regolamento_di_raccolta_funghi) and some advices about mushroom hunting and about the respect for woods (consigli_per_la_raccolta). 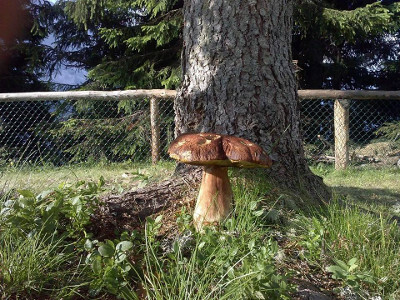 The mushroom picking permits can be purchased at the tourist office in Selva di Cadore.